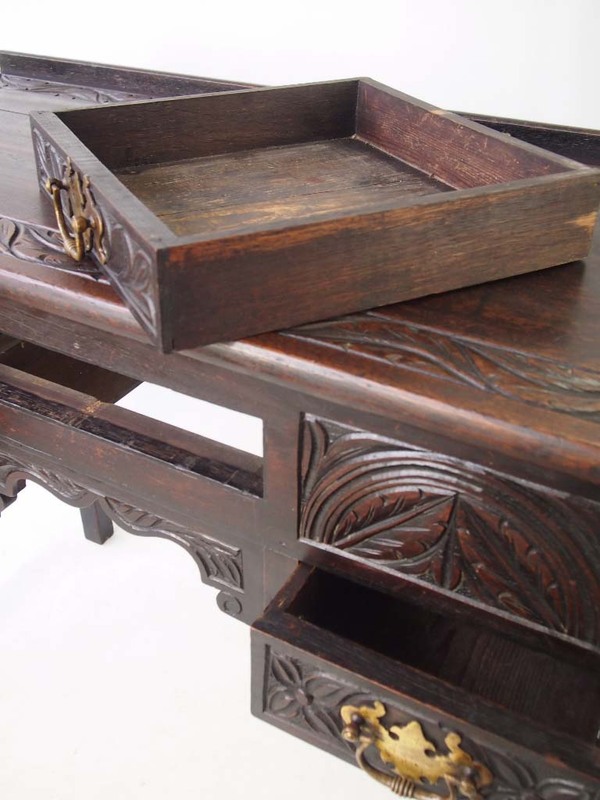 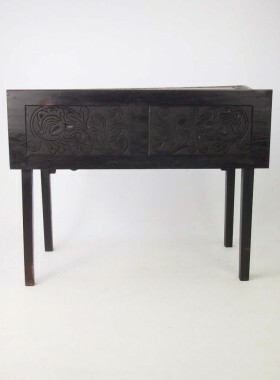 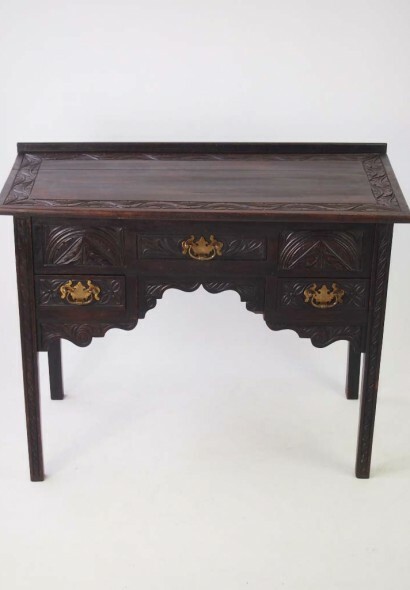 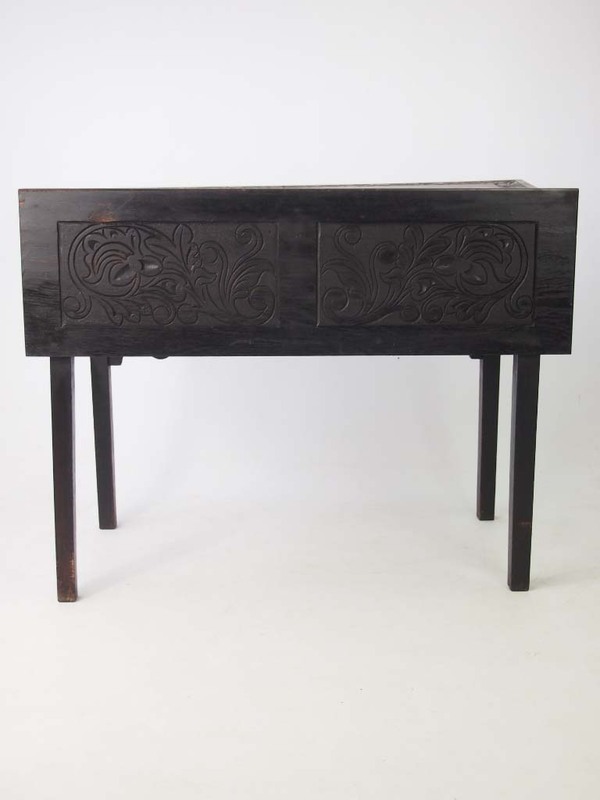 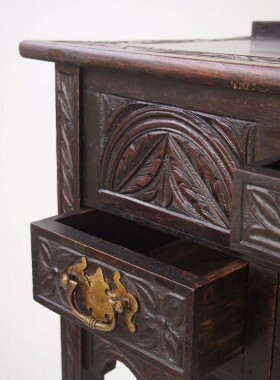 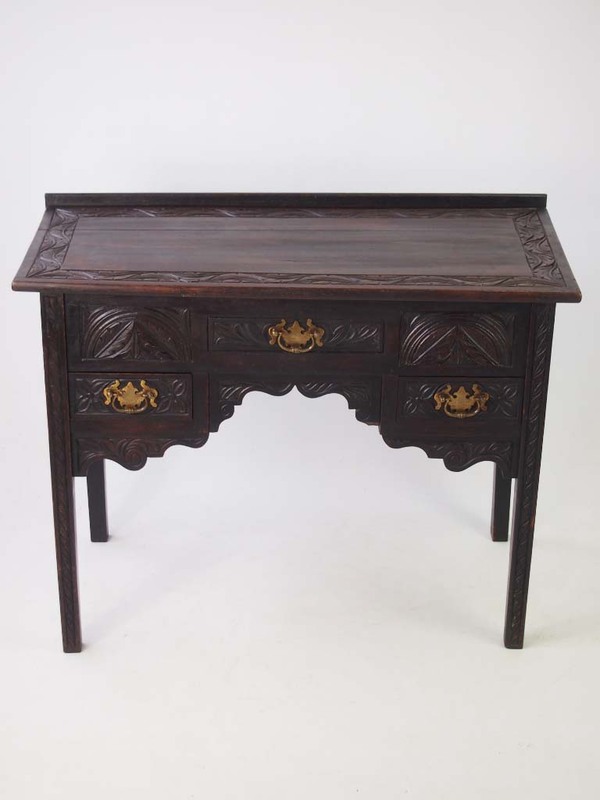 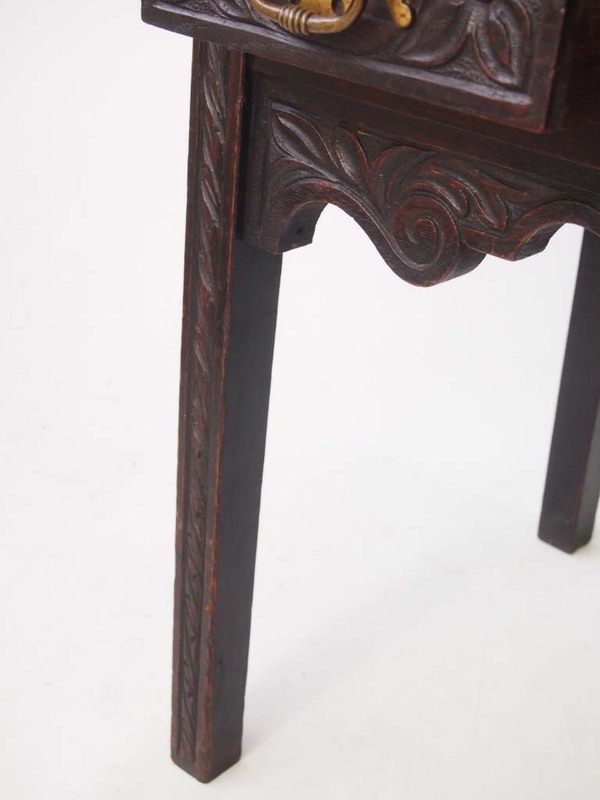 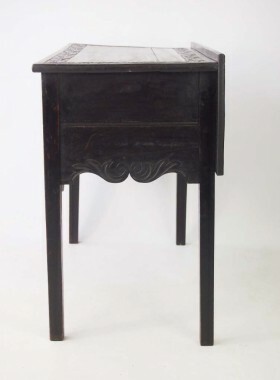 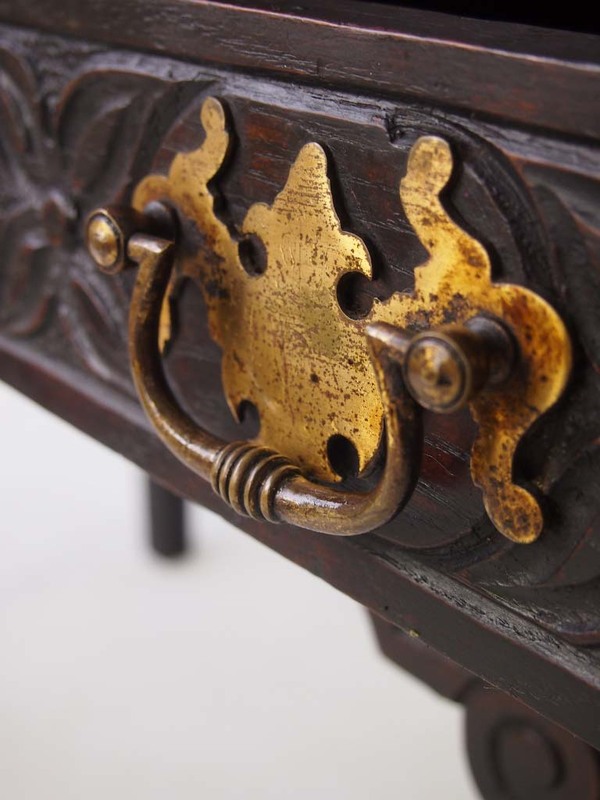 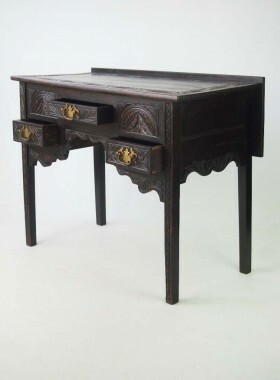 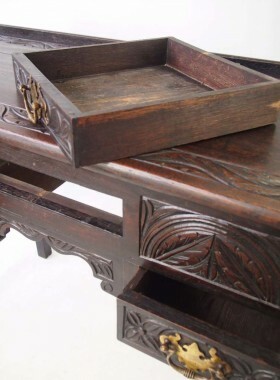 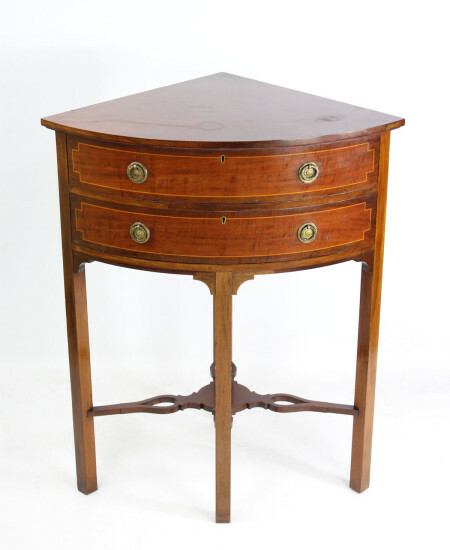 A stylish antique Victorian lowboy or hall table in caved and ebonised oak. 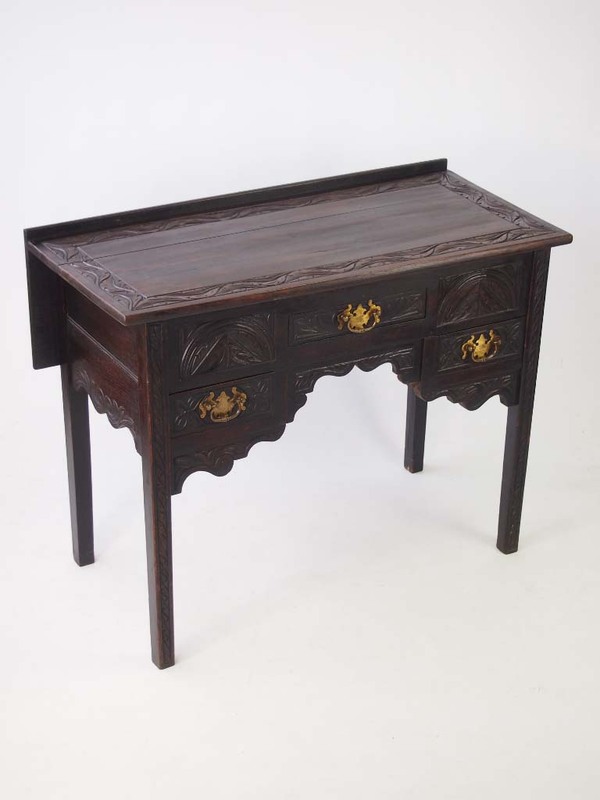 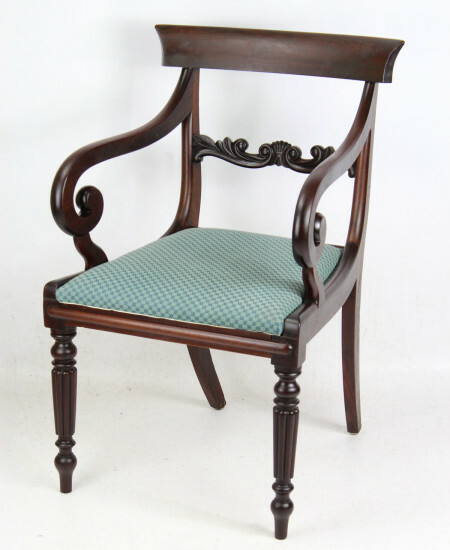 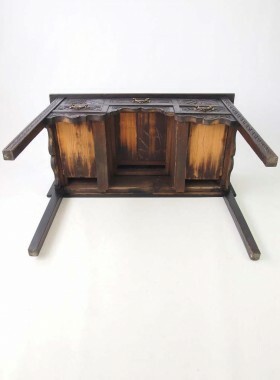 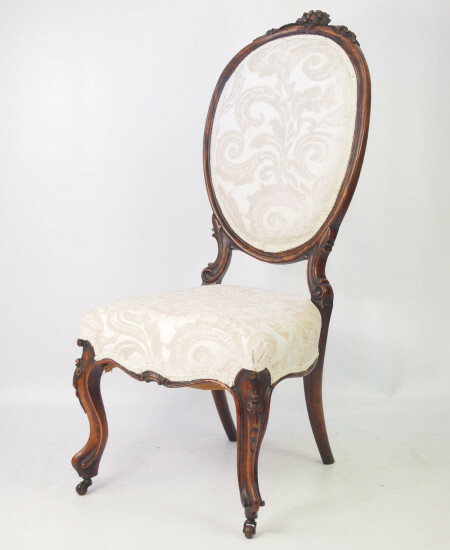 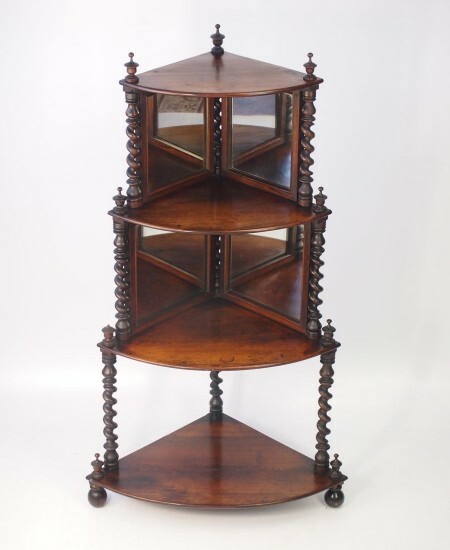 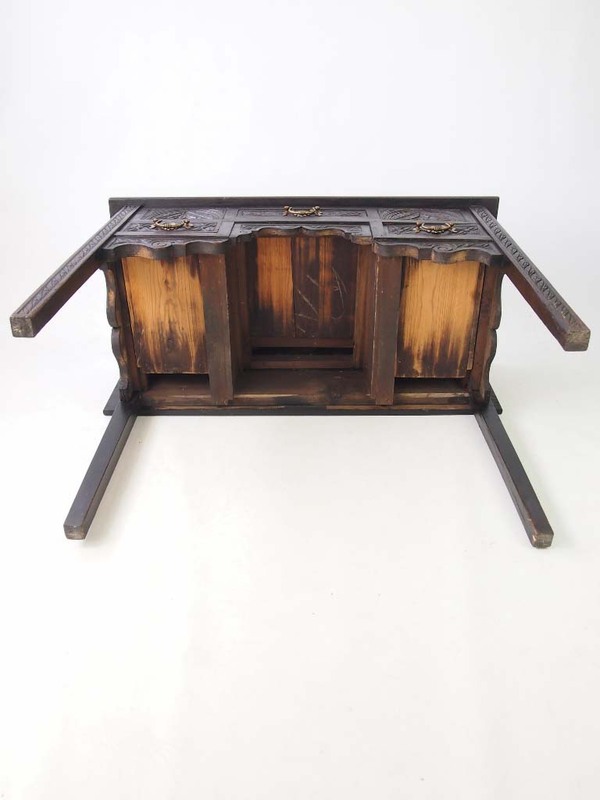 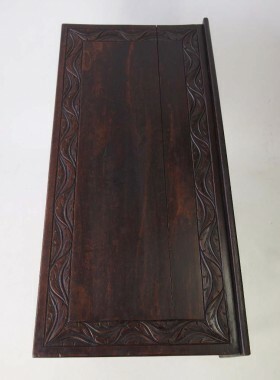 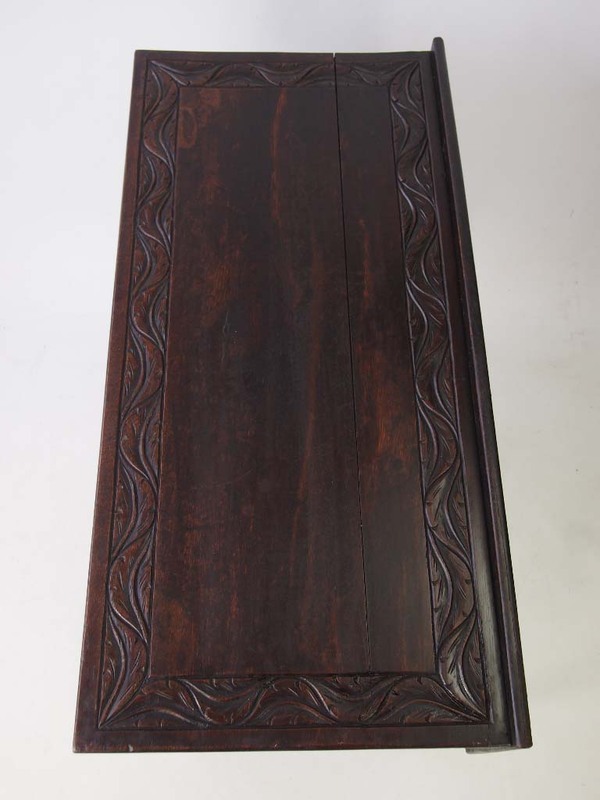 Categories: Antique Hall Furniture, Antique Oak Furniture, Antique Tables & Stands, Victorian Furniture. 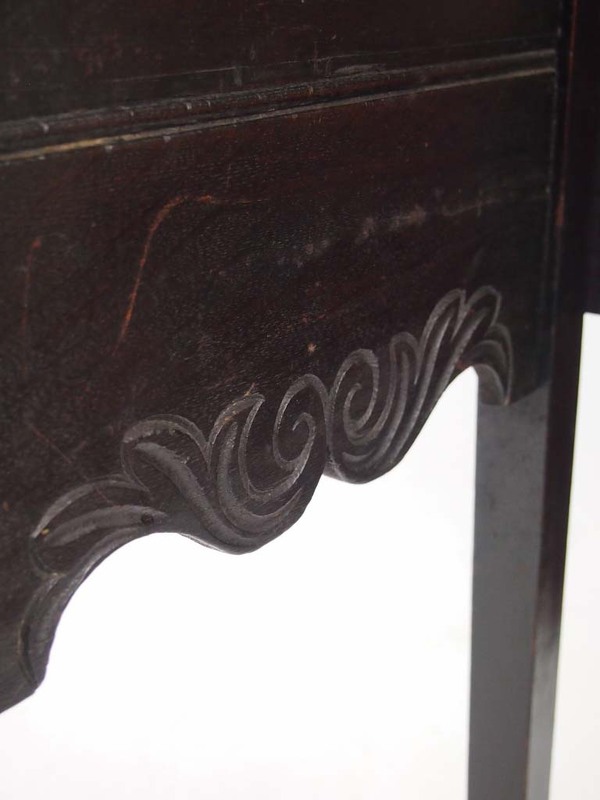 Good condition – wear and marks commensurate with age. Small gap along top where the two planks meet. 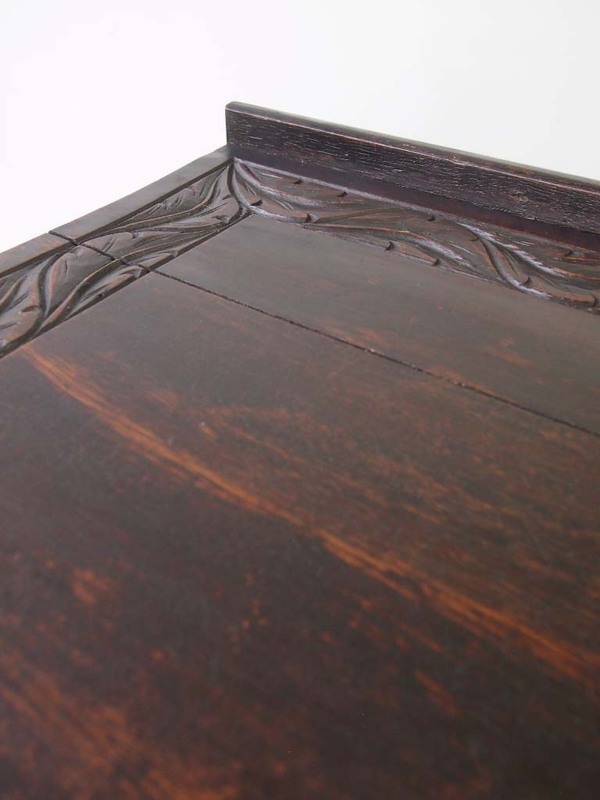 Marks and scuffs to top.